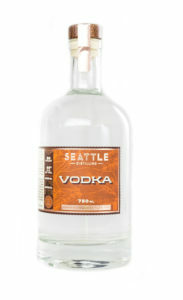 Seattle Distilling Vodka is handmade from hard red winter wheat grown in Moses Lake, Washington. Our vodka is an Old World style spirit, unfiltered and buttery in texture. When you use the best local grain to make vodka, you don’t want to scrub those flavors out with charcoal. The pure grain base definitely shines when tasting, but it’s accompanied by spices and just a touch of trailing dark chocolate. It’s light on its feet, while still being exceptionally flavorful. Our vodka took home a silver medal from the American Distilling Institute in 2014. 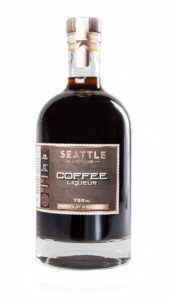 Seattle Distilling Coffee Liqueur is all about the coffee, rich and sumptuous with a nice kick from Seattle Distilling’s handcrafted vodka and just a touch of brown sugar, with notes of tobacco and bitter chocolate and a lush finish. Made from The Vashon Island Coffee Roasterie’s Orca Blend, a rich and earthy medium roast that also happens to support Vashon Hydrophone Project for Puget Sound whale research. Our Coffee Liqueur won a gold medal at The Great Distiller’s Festival in Portland, OR in 2014 and a silver medal from SIP Magazine in 2015. 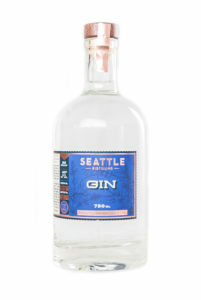 Seattle Distilling Gin is an aromatic gin that reflects the spirit of the Northwest. Eleven botanicals including Vashon Island grown lavender (from Lavender Sisters Farm), elderberry, coriander and whole hazelnuts shine, with a solid juniper base that doesn’t overwhelm the other spice, nut and fruit essences. This is a one-of-a-kind, adventurous gin, built on a solid base spirit made from hard red winter wheat grown in Moses Lake, Washington. Our gin was named “Washington’s Best Gin” by the Seattle Gin Society in 2014. 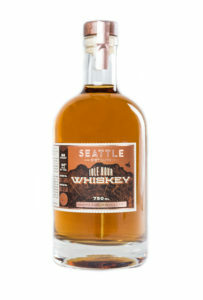 Seattle Distilling Idle Hour Whiskey is a single-malt whiskey crafted from barley grown in the Palouse. We add just a touch of local wildflower honey as we ferment the wort, lending a subtle sweetness and bourbon-ish nose. We barrel age at 100 proof in French oak casks that first aged local cabernet sauvignon (from Andrew Will Winery), adding a little fruit to the mix. We char and recooper the barrels, adding a nice smoky note. The taste is full, with a pure grain flavor and notes of oak and biscuits. Seattle Distilling made Thrillist’s list of the Top 17 Craft Distilleries in America in 2016 and was voted Western Washington’s Best Distillery in Evening Magazine’s Best of Western Washington 2014 & 2015. 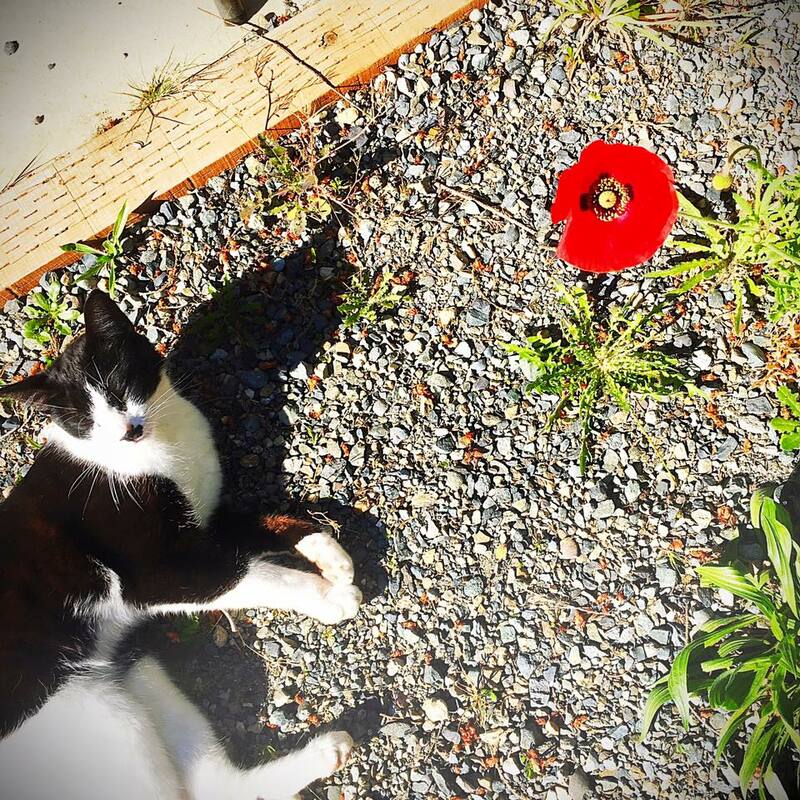 All of our spirits are made by hand, from scratch in small batches with Castor the Distillery Cat overseeing all operations. Our spirits feature the best local ingredients Washington State has to offer. We hope you like them!